Most of my clients see themselves as thought-leaders. These clients really are leaders in their industries: their scientists and engineers labor to create new ways of approaching old markets even as they open new markets. A think-piece is an outward-facing story of their leadership in the light of a market problem or need. Some clients assume their brochures and web copy can be repurposed into a think-piece. One of my tasks is to help them understand that a think-piece takes a position on a problem, spins out a story that shows the problem resolved in an emotionally satisfying way. That is typically a larger frame of reference than their current brochure or web copy. Sharp clients understand that thought-leadership presents a story that is immediately recognizable, universally understood (by their target audience) and easy to digest. They also understand that the best stories carry a useful thought with an emotional element. Story: A story is threaded together with real people doing real things. There is emotion in a story—just like life—and real people talk in human rather than PR speak. Real people with real problems that unlock real emotion both before and after the solution appears. Visual: There’s no question that words simply take too long for most of us. We still read, of course, but our short attention spans move us toward images and video. Some say visual is the primary way social media will present in coming years. We can put that visual bias to work today with words that paint pictures. That has always been the novelist’s forte: creating scenes. That ability must find a home in today’s think-pieces. Gone are the days when an interested audience member might happily read your brochure. Now you have to catch them when they are not looking or thinking about your product or industry. This is not an easy task, but the more visual the better. Visual also has the advantage of being immediately understood. Speak Human: Every discipline has its own secret words. Every industry uses lingo and code words to show they know their stuff as well as out of sheer laziness. It’s just easier to say the same things as everyone else. Plus it’s a badge of the tribe, so why wouldn’t you? But insider language is inherently toxic for anyone outside. It’s a buzz kill for an outsider looking in. Speaking human means words cleansed of jargon, words that can shine through a clear story. The best think-pieces don’t appear to be think-pieces at all. They can be read so effortlessly that we take every step with the author to the intended conclusion. And we find ourselves happy to be there, taking action with the hero. Posted in art and work, Audience, Brand building, Brand Promise, Brand voice, Collaborate, Communication is about relationship, consulting, copywriting, Creativity, Credibility, photography, public thinking, What is remarkable? On Writing: Is This Where The Magic Happens? Yesterday I heard myself spinning a tall-tale to a quiet cluster of skeptical students. I told them of a magical place they can go were writing connects the dots in a mysterious and inexplicable fashion. It is a place you arrive mostly clueless about what will happen next. But then you begin marking a blank page and words form into sentences and dots arrive and connect. The not-knowing of this place takes a bit of courage to sit with, but the payoff of processing your not-knowing is immense. These were writing students, so many regularly visit this place. Some nodded in agreement. Some stared back blankly, though I suspect this tall-tale was their own experience as well. Some stared blankly refusing to participate no matter what—which is, of course, that great student default-setting. John Cleese spends his retirement talking about this place (try here or here. And especially here). 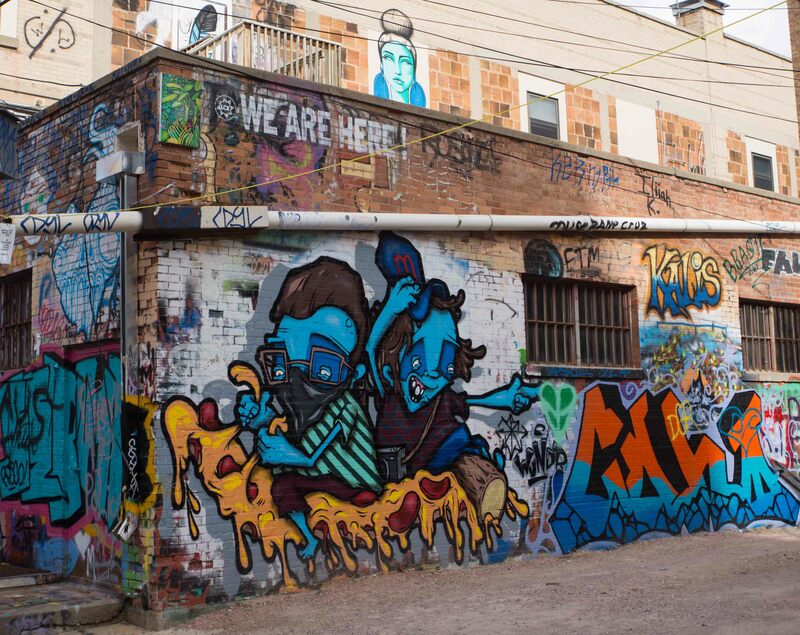 He characterizes it as more of a time than a place—which I completely agree with. A time away, which becomes a space bordered by time limits. I use timers to get to that place. This place where the magic happens is also called “flow” or “in the zone.” I’m certain you’ve experienced it as well. For the working writer, I’m convinced that this place is bordered on one side by strategy and analysis and research. And on the other side is marketing or talking to an editor or pushing “Send.” But in between: this magic layer where creation happens. It’s a place equally daunting and exhilarating. Is there really such a place? I believe so—see for yourself. You’re a good sleeper and a good eater. She is right: I am. Both. That’s the kind of stuff we say about an infant, in which case it is high praise indeed: getting that little human to sleep and eat bodes well for future growth. It’s some of the first stuff we can say with any authority about a newborn. But we struggle to praise an adult. If we look at those same qualities on the other end of the lifespan, “good sleeper” remains a positive. Older folks have a hard time sleeping (it turns out all sorts and ages of people have a hard time sleeping). What constitutes a “good eater” changes through the years as well. Moving from a voracious eater to a judicious eater seems an especially praiseworthy approach that can span the years. Still, how can we offer praise to one another in a meaningful way? The trophy for “just showing up” is nearly worthless and most of us see through that. But acknowledging the contributions we each make goes a huge way toward helping each other find and lay hold of our better meaning-making activities. 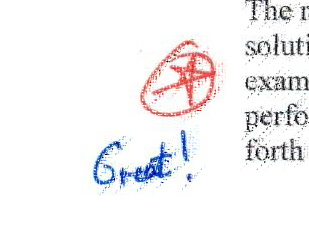 Yesterday my client drew a red star next to a paragraph he liked. It’s a small thing, but in conversation I told him it was meaningful that he did that. Our best work, it seems, goes by mostly unremarked. That’s how we know it is good—no one says anything. This is in contrast to when we are kids and our parents praise us for picking up our toys or finishing our Brussel sprouts. Even in school we look for praise from teachers and professors to know that we are doing the right thing/on the right track. But most of life doesn’t work that way. Giving feedback can help us close the circuit for each other. Even if barely acknowledged, a complement does a whole lotta good. But it better be true. Otherwise it’s just pandering. Posted in curiosities, philosophy of work, The Human Condition, what is ministry?, What is remarkable?